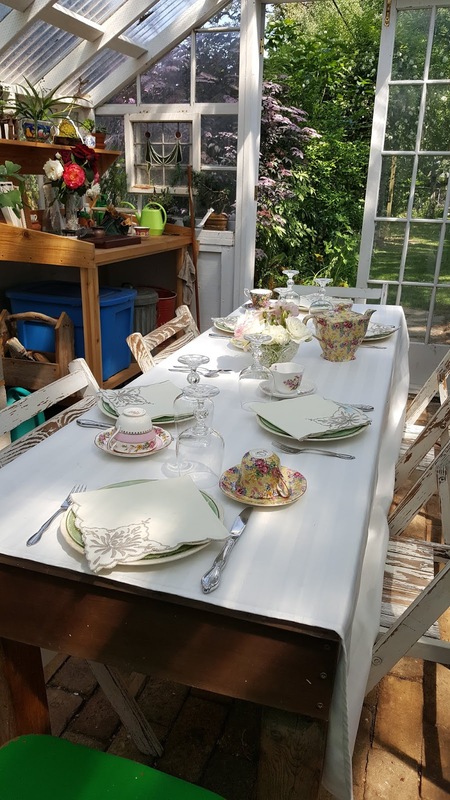 Tea time in the Gardenhouse just yesterday. My live-in gardener even pitched in to help. so a party was planned in the middle of the week. What fun we had talking tea and nibbling. We started with Castleton Moonlight Imperial Darjeeling, 2018 first flush. 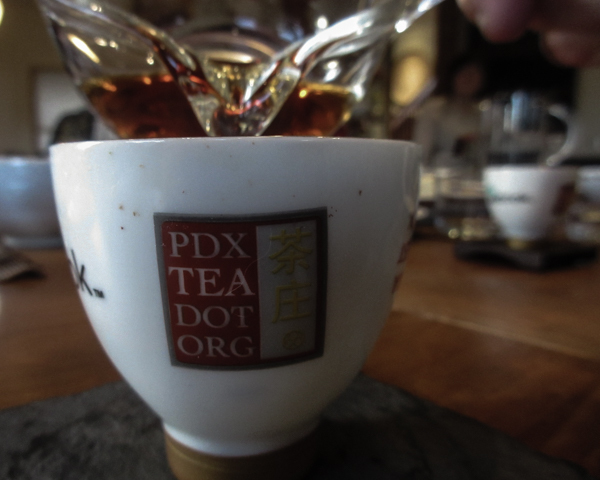 Then moved to an old growth Darjeeling that is not available to the public. And we topped it off with Black Magnolia from The Mississippi Tea Company, also rather dear and difficult to acquire. 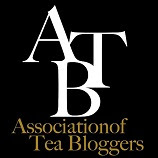 What fun to serve connoisseurs of tea to a special afternoon tea. to enjoy afternoon tea with all the food. Find time to savor friendship even in the middle of the week. Ohhhhh, what a lovely, lovely table you set!!! And in such a perfect setting. I am a very picky eater but even to me, those chicken on croissant sandwiches look delicious. I have a tea question: I use honey to sweeten my tea, and I used to leave my tea spoon resting in the cup of tea to let the honey warm up and get gooey before I stirred it in. Then one day I noticed that I detected a metallic taste in my tea, which I attributed to the spoon. Ever since then, I have never let my tea spoon rest in a cup of hot tea, and I've become the person who tells other people to quick! get your tea spoon out of your tea cup! What a perfect setting and absolutely delightful tea time gathering. Lovely, Marilyn. WOW!Great tea time!Your treats look delicious...Hugs! This is gorgeous. The endive is a particularly beautiful presentation but it all looks to die for. Wish I lived closer and could wrangle an invitation! This looks like perfection. The setting, the food, the company. I'm sure your friends will long remember this lovely tea. Beautiful! I have such fond memories of tea in your garden house. What wonderful tasties you shared with special friends. 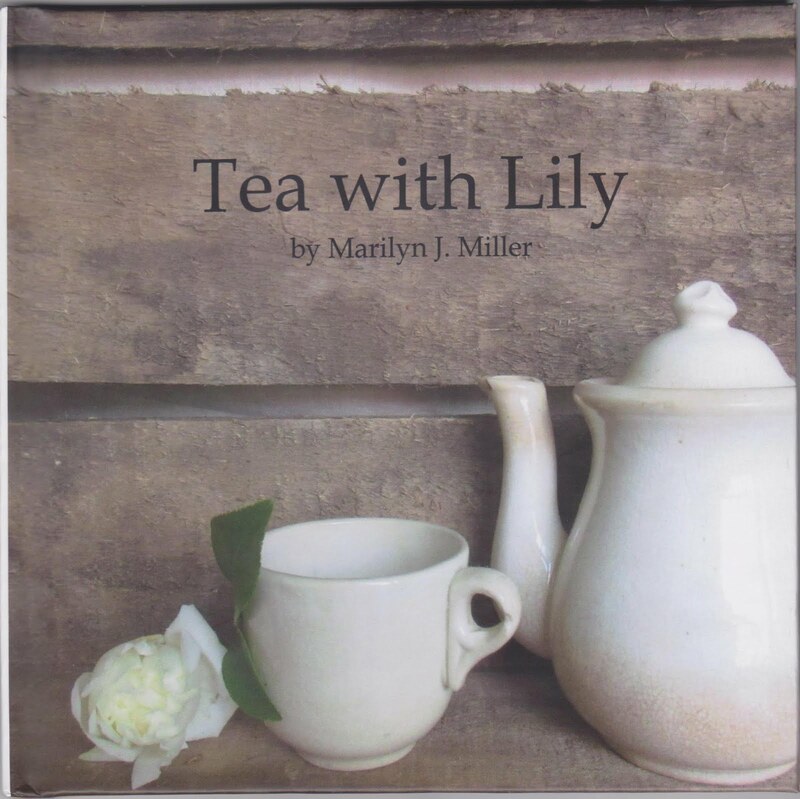 What a nice tea time, Marilyn. All the food looks so Yummy, especially those lemon tarts. The cucumber sandwiches you make always look so good. And the flowers on the table add a lovely touch. Black Magnolia tea, hmmmmm, interesting. It all looks wonderfully delicious, and you are thoughtful to plan a tea that fits these friends' schedules. Lilacs - Wishing for Smellivision!